Russian connections to anti-fracking activism in the United States underscore Russian President Vladimir Putin’s dedication to keeping Eastern Europe dependent on the oil and natural gas which flows from its state-owned energy giant, Gazprom. Russia has successfully stopped fracking efforts in Eastern Europe through phony environmentalist and media campaigns, and is now attempting to disrupt the surge in American natural gas production that is quickly bringing the U.S. into energy independence, and creating threatening unwanted competition for the Russian energy in Europe. While many former Soviet bloc countries in Eastern Europe have joined NATO and the European Union in an attempt to distance themselves from their Moscow, their overwhelming dependence on Russian energy imports has prevented them from achieving complete independence. Gazprom supplies 30 percent of the European Union’s natural gas, and during a 2009 dispute with Ukraine showed the world that it can make Europe shiver if it turns the spigots off. I don’t understand how you will heat your houses. You don’t want the gas. You don’t develop nuclear energy. Are you going to heat with firewood? You also have to go to Siberia if you need firewood. I only recently rode Amtrak for the first time and must admit the United States could do much better in the area of rail travel. Raised in a fairly nostalgic home environment, my childhood VHS entertainment featured a steady stream of black-and-white films like Young Tom Edison, Where the Red Fern Grows, North by Northwest, and of course a ton of Westerns. Trains have always represented adventure, suspense, and independence in my mind. In fact, some of the best action movies in history have involved suspenseful train scenes. Think of the Mission Impossible series, Money Train, From Russia with Love, and of course Skyfall. But, that’s for another post. My desire to travel by train as a kid went largely unfulfilled as passenger train service had essentially died in the southern U.S. three decades before I was born. Now, I must admit before giving my full opinion on the nation’s passenger train monopoly, that European rail has thoroughly spoiled my expectations. I’ve traveled on nearly every form of European train, from sleeper cars, to German first class, to ex-communist-bloc clunkers with no plumbing (See image to the right), I expected Amtrak wouldn’t come near Western European standards. But, after my last Greyhound experience which included a ten-hour delay because of a station shooting in Richmond (a station where I was meant to have a healthy layover), having to pay $160 in Nashville (more than my entire round-trip ticket) to retrieve my truck after the incredibly rude Greyhound employees impounded it (their website contained no warning that parking was not available at the station), I had promised myself never to pay a cent to that poorly-run, antiquated dog . 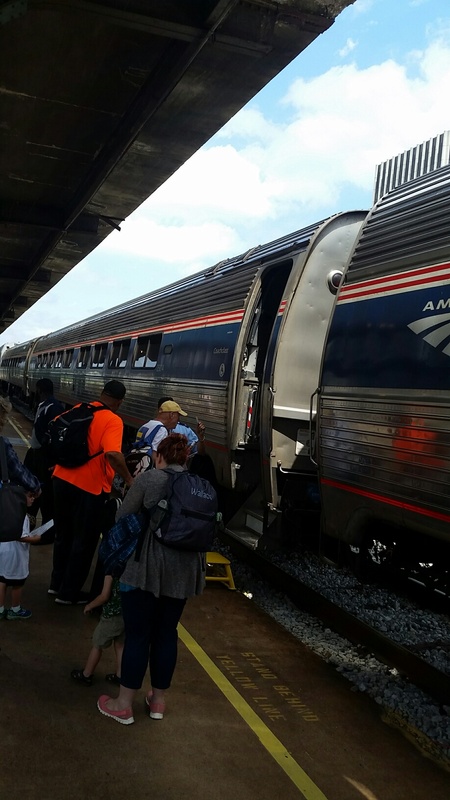 Since, I was unwilling to pay the extra airfare for all the luggage and the bicycle I was taking along and willing to hitchhike from Birmingham to Washington D.C. before resorting to Greyhound, I decided to check Amtrak prices. The price wasn’t bad – $160 one-way with two free suitcases with an extra $20 for the third. Taking along bikes are free with Amtrak, which was the deal-seller, since the much cheaper Megabus does not have room for them. I arrived at the Birmingham station three hours before departure, hoping to shed my heavy, unwieldy luggage quickly. However, there were no Amtrak employees in sight and the window remained unmanned. After about an hour, I finally spotted one employee among the fifty or so passengers who were waiting in a filthy waiting room the size of a dentist office. I asked him where I should check in my luggage. He pointed down a hall that looked like it led to a time portal back to the 1950s and said to wait for the announcement to check them in. I walked down the hall which ended at a locked storage room door. 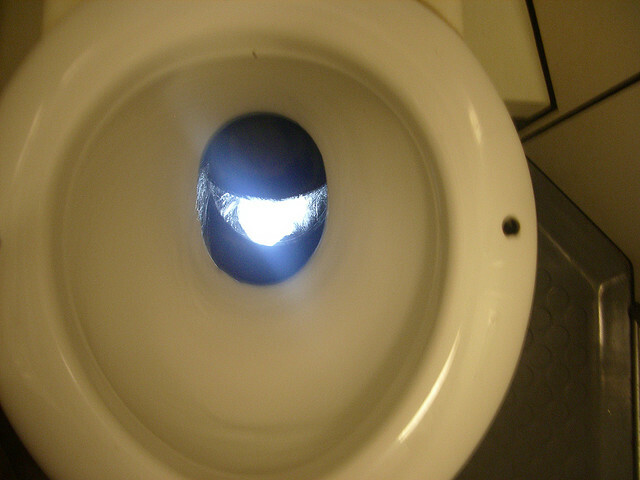 I walked back into the sweat box where the other passengers were quietly awaiting the time of their deliverance. The employee was gone. I managed to maneuver the 200 lbs. of luggage into a corner that wouldn’t have been available if the bathrooms I was blocking had not been out of order. No announcement ever came and my fellow passengers and I headed up to the tracks ten minutes before boarding. The controller naturally told me I needed tags for my luggage and I told him there was no employee at the window to do that. “Well, it’s too late now,” he said glumly. He told me they would have to be shipped the following day. I told him that was fine, but he promptly changed his mind. I went back to the station where the sole employee had reappeared. He quickly got me tags and took my bike while I dragged up my suitcases. The train itself was something a passenger could naturally expect in Colombia, Mexico, El Salvador, Bosnia, or the United States (if said rider had survived Greyhound). The carpet was stained down the aisles with every dark color imaginable, the seats were stained where they weren’t ripped, and the windows looked like they hadn’t felt window cleaner in a year. The pace of travel was especially abysmal. On a bad day of traffic, it takes a law-abiding driver two hours to get from Birmingham to Atlanta. It took the relatively empty Amtrak train nearly eight hours; and since Anniston closed its station, that’s eight hours with no stops. Part of that is because unlike in other civilized countries, Amtrak has to stop for freight trains – often for thirty minutes at a time. The pace and number of passengers picked up considerably once the train got north of Charlotte. Sleep on the 22-hour ride was virtually impossible as the staff had the temperature turned down to what felt like 45 degrees. Amtrak’s food service is actually quite good, although it can be a bit pricey. A full dinner runs $16 – $24 and breakfast $7 – $12, although if one wants to go continental, it can be even cheaper. Despite the obvious shortage of staff, funds, and infrastructure, the negative aspects of the government-owned company never appeared to dampen the spirits of the employees. The staff consisted of the friendliest, most hospitable, and most helpful transportation employees I’ve ever encountered. One of the controllers immediately took me to a better seat after the debacle with my luggage. Also, despite overhearing them complain among themselves of having to work 70 – 80-hour weeks, they were always eager to help and make customers’ journey as pleasant as possible. Amtrak’s employees, at least from my lone experience appear to match and even exceed any flight crew of any major airline in customer service and work ethic. Other than freezing all night, the trip was largely pleasant. The WIFI which Amtrak wisely undersells was surprisingly reliable. I read on the way up that more than 80% of Amtrak trains are late. Mine arrived about two and a half hours behind schedule. Amtrak is not a dying entity as many make it out to be – at least not yet. It suffers from a lack of interest on the part of American politicians. Their constituents have grown up without easy train access and don’t realize the convenience they’re missing. Trains have always been a lower, middle class means of transportation in Western countries and most politicians come from the upper middle class if they are not outright wealthy. They naturally have little interest in allocating their own tax dollars toward a means of transportation that they will never use. The federal government, despite pouring tens of billions of dollars every year into roads, cannot seem to do little more than slow down the roads’ rate of deterioration. Airlines have attempted to fill the void of good roads, good bus lines, and a good, affordable train system. The result has been smaller seats and less comfort and as a recent case with Delta showed, very poor customer service. Despite only getting 2.2% of federal transportation subsidies in 2017, Amtrak has managed to survive as a national embarrassment with a small, overworked, though over-paid staff, dirty cars, and infrequent and slow service. Despite the claim that the very fact Amtrak still exists is because of The very fact that it is still around is a testament to plump, government subsidies as anti-Amtrak advocates would have budget-conscious Americans believe is simply not true. 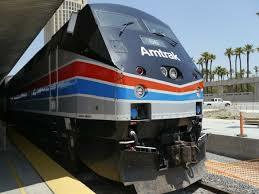 There is a continuing demand for passenger rail service. The workers I encountered were incredibly pleasant and seemed to thoroughly like working with people and enjoy their job, despite the outrageous hours. As I intend this to only be a summary of my personal experience with Amtrak, I won’t go into the reasons why Amtrak receives so little federal funding when compared to the massive subsidies and funding that airports and highways receive. The government’s treatment of Amtrak is like parents pouring thousands of dollars into clothes for their daughter and then telling everyone that their son just doesn’t have the sense of fashion like little Suzie – while failing to mention that little Johnny has to make do with his $50 gift card he receives at Christmas. The following are a few excellent pieces on some of the problems with Amtrak, and proposals to improve passenger train service in the U.S. My personal two cents is that the government should treat rail transportation the same way it treats air and highway travel. Privatize and heavily subsidize! 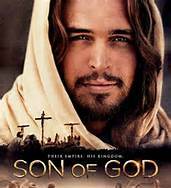 Son of God: It isn’t the Gospels on film. How do you depict the life of Jesus in under three hours and still convey to millions of viewers His eternal existence, virgin birth, ministry, miracles, death, resurrection and ascension? Son of God accomplishes just that in 2 hours 18 minutes. The 1977 miniseries Jesus of Nazareth, considered by many to be the greatest cinematic depiction of Jesus was more than six hours long. But, modern, twenty-first century adults with underdeveloped attention spans are not going to sit in a theater for even half that time to watch a story they already know. Beginning with the opening scene of the Apostle John on the Isle of Patmos, producers Mark Burnett and Roma Downey leave no question where they stand on the issue of Biblical creation. John opens up with John 1:1, going further to explain The Word was there when God created Adam and Eve, when Eve ate the forbidden fruit, when God destroyed the world and spared Noah, when He chose Abraham, when Moses led His people out of Egypt, and was there when David slew Goliath. The establishment of Christ’s divinity and eternity from the very start is essential, since so much of the rest of the movie focuses so deeply on His humanity. Son of God flies, but drags by at the same time as selected scenes of Jesus’ ministry are presented piecemeal in anticipation of the crucifixion. The life of Jesus is really too much material to cover in one feature-length film and because of this it can seem a little boring at times. On the musical front, Hans Zimmer does not disappoint and any lull in the action is quickly compensated for by the superb soundtrack that makes this by far the best musical accompaniment of all time to a movie on the life of Jesus. The special effects were decent to say the least. The digital reconstruction of Solomon’s Temple was good for The History Channel’s “Bible” series, but leaves the technologically spoiled movie brat a little unimpressed when viewing it on the big screen. The Garden of Gethsemane scene is also quite creative as it cuts from Jesus praying in the garden, to Caiaphas praying in the Temple, to Pilate and his wife praying to their gods in the palace. Ironically, the best acting is performed by those portraying the antagonists, but for this a good bit of credit can be given to the screenwriting. The bald Fraser Ayres’ portrayal Barabas, giving the aura of a thuggish, nationalist skinhead is a stroke of genius. Adrian Schiller as Caiaphas, gives the impression of an evil, corrupt ruler who is out to silence the “peasant” who’s “stirring things up.” The casting of Diogo Morgado as Jesus caused many to complain about Morgado not being a Jew. But, it is simply not reasonable to expect directors to find actors of the same ethnicity for every role they cast. Moreover, Morgado was not the only ethnic discrepancy. Black African actors portrayed both the man who bore Jesus’ cross and one of the wise men from the East. Simon of Cyrene was most likely a Jew who had come to Jerusalem to celebrate the Passover and the wise men from the east who were probably Medes and Persians, present-day Kurds and Iranians. 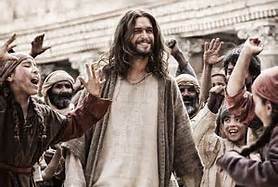 Morgado successfully conveys many of the characteristics of Jesus, such as compassion, love, and gentleness; but to such an extent that it takes away from Jesus’ authority which the Bible says He spoke with when He taught and especially affects the scene when Jesus overturns the money changers’ tables – probably the most pathetic scene of the entire movie. Jesus is portrayed heartbroken as he effortlessly turns over a few tables and weakly confronts the Pharisees before walking out of the Temple with His disciples. This plays into the hands of false teachers who claim Jesus was nothing more than a Jewish reformer who, disgusted with the corruption of the synagogues and Judaism of His day, broke away with His followers and formed another sect of the Jewish religion. This is in stark contrast to what actually happened. Both Matthew and Mark record Jesus running the money changers out of the Temple and Mark tells us He “would not suffer that any man should carry any vessel through the temple.” Whether He personally, physically threw them out and barred them from reentering, did so with the help of His disciples, or the money changers feared His thousands of followers is not given to us in Scripture and would certainly have been interesting to see played out in a movie director’s imagination. 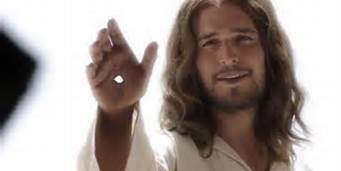 But, a scene like that wouldn’t fit in too well with the nice-guy image of Jesus that the movie seeks to portray. The lack of chronological accuracy is immediately observable to any viewer who has read the Gospels. This included the couple of old ladies sitting in front of me in the theater who during the entire duration of the movie felt the film would not be complete if they didn’t comment to one another during every single scene on the inaccuracies of that particular sequence’s portrayal. For starters, Simon Peter is alone when Jesus multiplies th e fish in Peter’s boat and when calls him to be His disciple. Whereas in the Bible, (Mt. 4:18-20, Mark 1:16-18) Peter and his brother Andrew were together when Jesus called them. But, assuming the film is basing the choosing of Peter off Luke’s depiction in which Andrew is not mentioned (5:1-11), James and John are notably absent and the movie makes it look as if Jesus was a complete stranger to Peter. 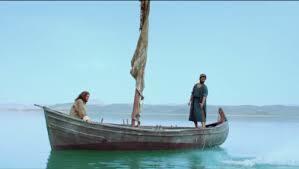 In the Gospel of Luke, Jesus had already healed Simon’s mother-in-law in the previous chapter and was in Simon’s boat to begin with because He had been preaching out of it. Another example of shoddy chronology is when Jesus reads from Isaiah and tells those in the synagogue: “This day is this scripture fulfilled in your ears.” This scene appears toward the middle of the film, whereas in Luke, it happened before the miracle in Peter’s boat. But, it doesn’t end there. As Jesus and His disciples are being chased away from the synagogue, one of the Pharisees tells Jesus of John the Baptist’s death and warns that if He doesn’t watch it, he’ll be next. Since King Herod is completely removed from the movie, including during Jesus’ trial, they apparently had to come up with some way to explain John’s death, but making it look as if the Pharisees killed John is plain irresponsible. But, it gets even more bizarre. Jesus acts shocked and goes and sits sorrowfully under a tree with His disciples and then tells them “John was the greatest teacher I ever knew.” Presumably this is supposed to be an offshoot of Luke 7:24-28 which Jesus said about John while he was still alive. The movie is strewn with numerous little inaccuracies like these that make anyone with minimal Biblical knowledge cringe. All too often, movie-goers expect a two-hour movie based off a book that took them ten hours to read to accurately depict every sequence of the story exactly how they imagined it while reading. They then walk away from the cinema disappointed that the producers and director don’t have the same imagination they do. This is only amplified for Bible-based movies because unlike The Lord of the Rings or The Hunger Games, the events in the Bible not only happened they deal with and were inspired by the Creator of the universe. But, Son of God isn’t the Gospels on film. It’s an emotional tool intended to draw people to Christ. For instance, if a lost sinner understands the gospel message in church and becomes a follower of Christ, it’s of little consequence whether the preacher mentioned in his sermon that Pilate sent Jesus to Herod before having Him crucified. Son of God is not another Passion of the Christ. It has neither the budget, nor the renowned director and suffers from having to cram the entire Biblical story into one movie. But, as an emotion al tool to depict what Christ did for us, encourage believers to live as Christians and urge heathens to be believers, it succeeds. While there are many chronological flaws and a few rings of false doctrine, such as Joseph and Mary acting surprised when the wise men bow down and worship Jesus, the basic message that “Christ Jesus came into the world to save sinners” and that He “is the Way, the Truth, and the Life” is amplified from the opening scene of St. John on the Isle of Patmos, to Jesus’ reappearing to Him on that same Isle after John has related Jesus’ life, death, and resurrection to the viewer. This is definitely a movie that Christians should do their best to convince their unbelieving friends to see. Their friends will most likely walk away unconvinced and seemingly unmoved. Jesus was just a cool hippie they’ll say who was murdered by a bunch of religious zealots and Roman tyrants. But, like Pilate’s memorable line in the film “He’ll be forgotten in a week” rings so untrue today, so too an unbeliever is not likely to be as uninterested in Jesus a week after viewing Son of God as he or she was a week before seeing it. Britt Gillette, “Jesus Of Nazareth (Movie Review),” ezinarticles, February 25, 2006, http://ezinearticles.com/?Jesus-Of-Nazareth-(Movie-Review)&id=152171. Tyler, O’Neil, “Burnett and Downey Talk ‘Son of God’s’ Profound Impact: Address Critics on Biblical Inaccuracies,” The Christian Post, March 6, 2014, http://www.christianpost.com/news/burnett-and-downey-talk-son-of-gods-profound-impact-address-critics-115676/.